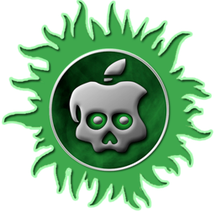 Yesterday was a rogue day for the jailbreaking community when they were blessed with the first-ever iPhone 4S and iPad 2 jailbreak. Two separate tools were released for jailbreaking A5-based devices, one was Absinthe for Mac by the Chronic Dev Team, and the other one, which was a command line-based tool for both Windows and Mac users by the iPhone Dev Team. Absinthe, which comes to us from the creators of the original GreenPois0n tool, is probably one of the the simplest one-click jailbreaking tool that we’ve come across in recent times. You really don’t have to do much except for clicking one “Jailbreak” button to jailbreak the iPhone 4S and the iPad 2, but it was limited to Mac users only, until now. The Chronic Dev Team has been working their heads off for the release of the Windows version of Absinthe, and as promised, it is now available for download. Just like its Mac counterpart, its simple to use and it does what it should, that is to provide you with an untethered jailbreak for your iPhone 4S and iPad 2 running iOS 5.0.1. Keep in mind that Absinthe is no way an unlocking tool and is solely meant for jailbreaking your A5-based iOS devices in hand, namely, the iPhone 4S and iPad 2. We’ve emphasized on this point in previous posts before that those looking forward to unlock their iPhone 4S should stay on iOS 5 and should not in any case update to iOS 5.0.1. If you have updated to iOS 5.0.1, unfortunately, then you’re out of luck for any upcoming software-based unlock for the time being. At this point in time, Apple is also not signing the original release of iOS 5 which was released alongside the iPhone 4S to the public, therefore a downgrade to iOS 5 from iOS 5.0.1 is also not possible. The release of the untethered jailbreak for the iPhone 4S has opened a tremendous amount of possibilities and doorways for some serious tweaks and mods. Siri, our favorite personal assistant, after using it for a good couple of months got a little boring, but thanks to the hardworking jailbreak developers, the utility of the said assistant has been pushed to a whole new level. With tweaks for the 4S which allow users to change the color of Siri’s mic to giving the capability of making Siri launch native apps using the power of your voice, the untethered jailbreak is a must-have for users who are looking forward to get more from their iPhone than they paid for. To jailbreak your iPhone 4S or iPad 2 on iOS 5.0.1 untethered using Absinthe for Windows, simply follow our step by step guide posted here. Alternatively, you can use also use the iPhone Dev Team’s command line tool for jailbreaking on Windows and Mac both by following the steps posted here. But be advised; the tool has a bit of a learning curve, therefore we recommend that you stick to Absinthe due to simplicity. For those of you who are sporting A4 devices, you can follow our complete step by step guide posted here to jailbreak iOS 5.0.1 untethered on iPhone 4, 3GS, iPad 1, and iPod touch 3G/4G using Redsn0w or Sn0wbreeze.